The passage of time is unrelenting, and often cruel. I’m not saying that to be emo or sad — that’s just how it is. Once something happens, it’s impossible to get it back. Unless, you’re in a video game, in which case time is just one obstacle. 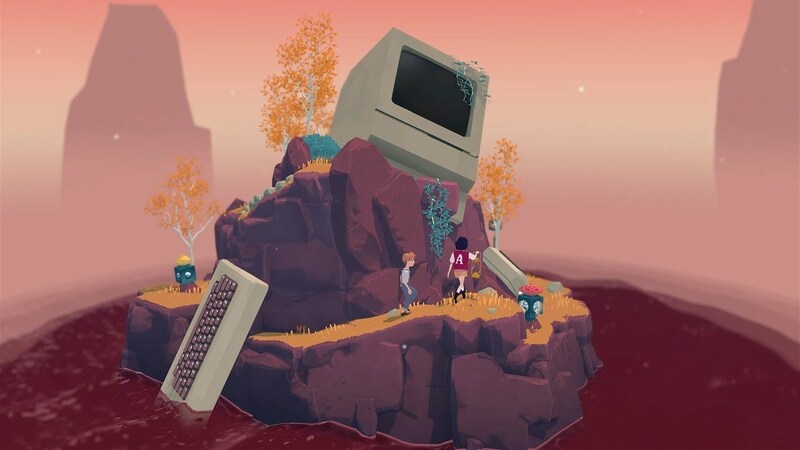 Such is the case with The Gardens Between, the creative new puzzler from The Voxel Agents. Known best for their Train Conductor franchise, their latest project represents a sizable change in direction for the Melbourne-based studio. It can be difficult to describe exactly what The Gardens Between is. It’s a puzzle game that has you manipulating time in order to scale miniature gardens. Each of these little gardens is designed like a diorama, with details from Arina and Frendt, the two main characters, scattered throughout. Each member of the duo brings a skill to the adventure. Arina carries the light that is used to illuminate walkways and complete each level, and Frendt can activate switches that open boxes or transform the environment. Time is manipulated almost unconsciously by the two, however. When they move forward, so does time. Same goes for when they back-peddle. The key is figuring out how to control time in such a way that you are allowed to move the two of them to the top of each garden. Sometimes the process sees Arina collecting a fragment of light from one location, then reversing her steps to place it somewhere she couldn’t before. Other times, Frendt will need to play around with the same switch multiple times in order to uncover a way forward. The game as a whole is not terribly difficult, but it’s not afraid to get creative when it wants to. As you move forward and backward through each garden, you’ll also need to pay attention to your surroundings. Every object in The Gardens Between reacts to the same flow of time as Arina and Frendt do. Often times, looking into the background is key to figuring out how to move forward. For example, during one level, a number combination needed for a remote is hidden in the back. Once you get the number, you then have to do the correct movement through time in order to successfully punch in the digits. The Voxel Agents keenly understand the best use of the title’s mechanics, and crafted levels that match that creativity. The Gardens Between is constantly delightful and always intriguing, but I wish there was more to it. Clocking in at around three to four hours, there’s just not as much content here as you would hope. You could easily run through it in a single sitting if you so choose to. It’s not just the fact that it’s short that bothers me, but also the fact there still seemed to be so much potential left on the table. The hook and design of the game is so fascinating, and going off of what’s already here, I know the developers could have continued to build upon it. Perhaps this was done purposely, but it stings all the same when you reach the end. There is a plot to The Gardens Between, even if it’s a tad incomprehensible at first glance. On a dark and rainy night, best friends Arina and Frendt find that the treehouse they have taken shelter in has blown away and turned into a boat. Together, the duo must sail from garden to garden, all while solving puzzles throughout the night. It’s surreal and dreamlike, but it does fit the overall vibe of the game. Cutscenes at the end of certain sections depict moments in the pair’s friendship, helping to drive home the important mark the friends have left on each other. For awhile, I thought the game was going to go all Bridge to Terabithia on me, but thankfully that’s not the case. However, the surreal nature of the setting eventually gives way to a melancholy tale of growing up. Life isn’t fair, and the time you get with loved ones may not last as long as you would like. That’s a lesson you learn as you grow older, and one both Arina and Frendt have to learn eventually. There’s a bittersweet tone to this adventure, even if you have to wait a little bit before it fully reveals itself. Part of the charm of The Gardens Between stems from its beautiful design. The little moments that Arina and Frendt share with each other demonstrate their bond just as well as any bit of dialogue would. From a simple look to the wave of a hand, you can easily see how close the two are. The gardens are filled with detail, with each one lovingly designed. Calling them dioramas almost does them a disservice, but that’s really the best way to describe them. Colorful, awe-inspiring little dioramas. The synth-heavy soundtrack is fine enough, but it doesn’t really do enough to leave a lasting impression. 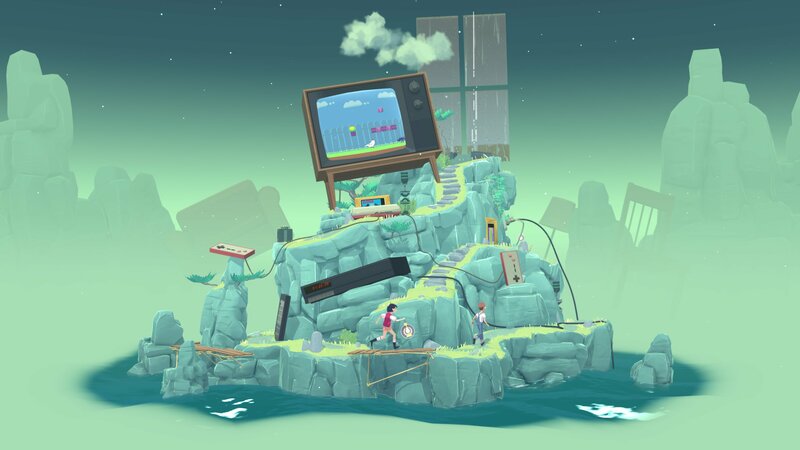 The Gardens Between is a meticulously designed, and frequently surprising adventure. The Voxel Agents have managed to create a puzzler that borrows from other classics, but still manages to feel remarkably fresh. With puzzle design this great, the wistful storytelling and gorgeous visuals are just wonderful bonuses. The lack of content is a pretty big let down though, and it would have really benefited from more levels. Maybe that would have ruined the flow of the game. I don’t know — I’m just saying, I wouldn’t have turned down another hours worth of puzzles. When that’s the worst of your problems, though, it’s hard to complain all that much. This review was based on the Nintendo Switch version of the game. A copy was provided by The Voxel Agents.